ive used this on my daughter for about 7 years and its really great for sensitive skin. my daughter had really sensitive skin with eczema and this doesn't irritate her skin. My littlest battles dry skin/eczema and this is one of many products that we've tried. I generally love the Aveeno brand, but this product is just so-so. When we are treating a flair up, this is great for not further irritating her skin but will not improve her condition when used alone. I haven't found it to be a very good hair care product but I have a very curly headed little girl and she needs at least a little detangler/conditioner or she just ends up with a ratted mess. It is very lightly scented and doesn't get as "sudsy" as I'd like it to but, again, it doesn't irritate. I don't use this unless I have to as I prefer scented wash that lathers well. It is reasonably priced as some Aveeno products are quite expensive for continued used so that is a definite plus. I could possibly find another wash that doesn't irritate but I usually buy this as I like the Aveeno brand and many of its products. My daughter started to develop small red bumps on her legs and arms. They did not seem to bother her much, but would come and go. I took her to the pediatrician and he suggested that they be burned off so they would not return. I did not want to put her through that at a very young age, so I decided to wait. I started using this Aveeno creamy wash along with Aveeno oatmeal baths. The red spots cleared up so fast. I was amazed. 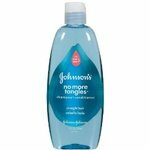 This product is great for sensitive skin and we used it on my daughter for years. Her skin never had any issues when we used this product. I love Aveeno and would highly recommend using this product if your child suffers from sensitive skin. Performance I give this product a perfect 10! It really helped keep my daughters skin from breaking out and becoming irritated. It truly works wonders and is very gentle on the skin. Scent This product does not have a scent and I believe that having no scent is the best thing for children with sensitive skin issues. My son sometimes get eczema and when he does he scratches a lot that he sometimes even makes himself bleed. He has a lot of creams and treatments but they sometimes don't work. I seen this Aveeno baby soothing relief creamy wash and I just had to try it. It was very soothing and it didn't irritate his skin. It has colloidal oatmeal in it so it made his body feel very soft and it was very gentle to use everyday. It lathers up very well and it rinses off easily. It was very moisturizing to his skin so it didn't seem so dry after. I have noticed a big difference in the texture of his skin. Its frangrance free and its tear free so it doesn't burn his eyes. His skin looks healthier and it doesn't feel so rough. His hair felt really soft after too. Its great because its pediatrician recommended so its safe to use for babies with any skin type. I would definitely buy this again for my son anytime his eczema comes back, Aveeno baby is a brand I trust because they use natural ingredients. The Aveeno Baby Soothing Relief Creamy Wash is perfect for babies with sensitive skin. My daughter was born five weeks premature, and every baby wash I tried irritated her skin. Her skin would get very dry all over her body, and she would peel. She had horrible cradle cap, and washing her head with soap only made that worse. At one point, the pediatrician recommended I stop using soap all together. He only wanted me to wash her with water. I tried that, and it helped her skin, but she smelled stinky. She always smelled like spoiled milk. I knew I needed to find something gentle enough for her so she wouldn't smell like that. She is too pretty to be stinky. I have trusted many Aveeno products for myself, but I didn't know they had a baby line. I was excited to find them! I bought the Aveeno Baby Soothing Relief Creamy Wash, and it didn't irritate her skin at all. Not only did it now make her cradle cap worse, it made it go away completely. Now, my daughter is clean, and she smells good. I will probably use this on her for as long as she's using baby shampoo. I am beyond confused as to why this product is so overpriced. I understand that this product has a name to stand behind but what else warrants it the right to charge double the amount that other soaps cost. It is a decent soap that works just as well as Johnson and Johnson or any other leading brand of children's soap. I would not say that it is extraordinary in anyway shape or form nor is it natural or organic. I could understand if they charge so much for a natural organic product but this product is neither. It lathers decently and it has a decent sent. I would not go out of my way to purchase this product or even Klippa coupon for this product. I would not recommend this product due to the fact that it is extremely costly with no real benefit. I would recommend another product that cost less and works exactly the same. This product did not leave my child skin feeling dry or Rob but it wasn't exactly wonderful either. Aveeno does it again with their wonderful products. I needed a wash that would soothe my nieces skin. She had a breakout that made her itch all over. After using this product I never had to use another. I trust this wash. Thanks Aveeno. Performance Works great every time. It has a lotion, and wash all in one. Scent Very nice fragrance, smells wonderful. My baby was born with aczema, and it was really hard to find him products that he's skin could handle. When you have aczema it means that your skin will be more sensitive than usual and it's really hard to use just anything on it. One of the main things that triggered the aczema for my baby was scented products, like lotions, shampoos, ect... And it wasn't that easy to find products that were scent free. I got the baby Aveeno wash as a gift, and I'm really glad I did. Because I would've never thought of getting it because I never thought that Aveeno made products specialized for babies. 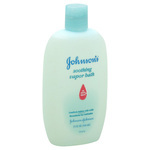 This product was gentle on my baby's skin and made his skin softer and less rough. I was really happy when I started seeing the results because I was about to give up. I am not the type to give or put something on babys without asking his doctor. So when I received this product, I wasn't sure if I should use it, until of course I asked the doctor, and she really recommended it for him. I have a 2 year old son and have some experience with baby shampoos. I have tried several brands and this is the one i prefer. I used to live in Europe and had not heard of this brand of baby shampoo before moving back to the States. i actually found it by accident. My sister in law left a bottle at my parents house and i tried it out on my son. Well, the rest is history. i now only use this brand of shampoo For my son. The price is a decent price For the quality I am getting too. I Also like the scent of the shampoo on my son's hair. The shampoo makes a nice foam which i like. I bathe my son everyday and wash his hair with this shampoo on a daily basis. 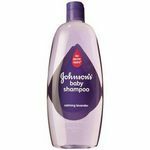 I have found out that this shampoo is good For an occassional wash or daily Washings. I Also like the ingredients that are in this shampoo. There aren't many shampoos avrailable on the market Made from similar ingredients. The bottle it comes in is Also easy to Hold and use. The design of the product is Also unique and easy to remember. This product is one of my favorites for babies and small children. This Aveeno baby soothing relief creamy wash is so gentle on skin. Aveeno is made to be gentle on skin, so kinds that are made specifically for baby are even more soft on skin. Your baby needs a gentle body wash that is not going to irritate their brand new skin. The performance of this is fabulous, it leaves the babies and or small children's skin smooth and nourished with hydration. I highly recommend this product to people who have babies with sensitive skin, because this Aveeno baby soothing relief creamy wash has no extra dyes or scents in it that could irritate your babies skin. The scent of this product is a nice scent, it is not strong at all, which is great for babies skin. It has just the right amount of good smells, that it is not over done. I like this product a lot because it goes on my babies skin very gently and it is creamy so it does not tear up her skin.